Do the names of some of these outstanding writers look familiar to you? 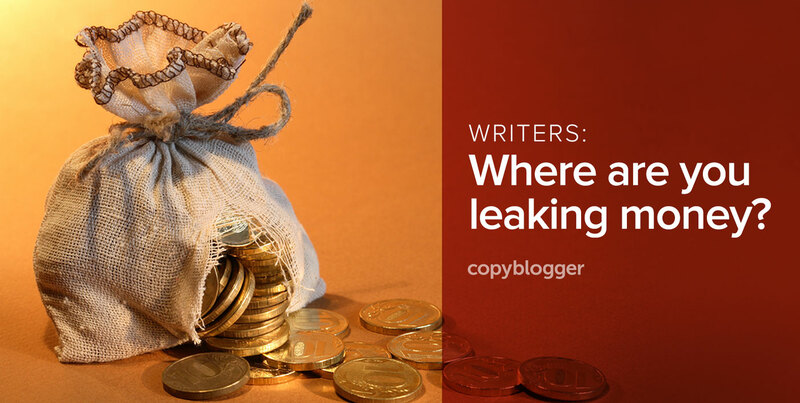 A number of excellent examples in this article come from Copyblogger’s Certified Content Marketers. The Certified Content Marketer training program helps writers position themselves and their offerings, so that they can build profitable freelance writing businesses. And the program will open again soon. Drop your email address below and you’ll be the first to hear about it. What you also need on your web site is a prominent call to action that people click on, a lead capture form that appears when they click on the CTA, a lead magnet that gives prospects incentive to click and submit the form, and optimizing your site for Google so you get more organic traffic to the home page. See http://www.bly.com as an example. It generates 2-3 leads every business day of the year. This was really brilliant! I think you’ve made my year, Kelly. I feel like a lot of the guesswork has been taken out creating a website/portfolio for me with this post. I’ve bookmarked the links you provided so that I can study them closely. Thank you! I wish more of my early articles had been rejected! Now, everytime I find one of them I cringe when reading it. Ugh, I know it. Reading my early articles is like looking at high school prom pics… the style alone is enough to induce vomiting. Haha! But how cool is it when you come across something you wrote six years ago and you think ‘Hey, this is pretty good!’ That happens every so often! Great post, got to know how and why Writers need to promote themselves. let’s see how it works for me. You will probably find that, over the course of months and years in business, your mental picture of your ideal client will change. When that happens, update your website copy accordingly. Thanks hugely for featuring my home page in your article Kelly. I think the more robust your website is the fewer questions clients have. It’s also your copywriting ‘sample’ where you can showcase your skills. I agree that many copywriters take a set and forget approach with their sites. A good refresh to update and refocus can work wonders! Thanks for giving me such a great home page example to use Kate! Awesome tips! Having a strong Gravatar and commenting has resulted in work and offline Business relationships. Very happy to like your testimonials page! This is a useful guide for all. Thanks for kindly sharing. Always found actionable content here. Your website always provides something new, unique and different than other online content marketing resources. I’d recommend any aspiring writer/content-marketer to follow this site to learn about subjects like content & content marketing. Spending time on your site is worth every penny. Kudos to you! You don’t have to be holding a slogan of “Hire Me!” but that your place (site, blog, etc.) should portray the message of what you have and what one can avail by hiring your services. Should be all crystal clear of your message, the benefits, and the WHY part. And I liked one thing the most; write for the businesses you want to target. The more your content is problem-solving towards the obvious issues businesses are having, makes you trusting services provider. And if focusing just on others, won’t let you open up in the market because you’re limited to your writing. And can’t deny the fact (and power) of the guest posting. Thanks for the best write up! Nice post indeed, Kelly. Love to read this informative post. You are absolutely right on the prospect needs of visiting the particular sites and also our website should be unique and designed very well. I like the tip i.e. it’s the best way to improve a writing technique to ask a writer friend for help. I agree with your all point of views on writing services. Content marketing is very popular now a days and it’s the best way to earn money online. But, it requires excellent technique of writing ability about the topic and describe too. You have instructed very well through your post and I’m sure many of one will get benefit reading this post, I’m too. I sincerely appreciate you for sharing such type of encouraging post. Kelly, thanks so much for including my Twitter bio. With each new professional challenge, I’ve gained confidence, clarity, and courage to take creative risks. Projecting these strengths, even if you’re relatively new to the game, is key to building a thriving business. Pleasure Becky! And yes – so hard. Especially in 140 characters! But I’ve always thought that Twitter (+ its tiny little bios) is so amazing for writers because it forces us to practice. If we can say it well in 140 characters, imagine what we can do with 1000 words! Agreed! I used to think of long-form content as the most challenging. Not anymore. Great article! I am a new blogger and awesome tips are always welcome. This is my favorite part of this post. Many bloggers like myself find it difficult to release our best posts while still lacking adequate content on our sites. Thanks for the candid advice. At first, the articles I’ve written for some guest blog posts got rejected and I was disheartened by it. But it was very kind of them to provide me a list of what should I improve to make my articles got better. When I started applying their tips, my success rate on getting my guest blog posts increased! Now I am thankful for those editors who rejected my articles before. They gave my writing a room for improvement.